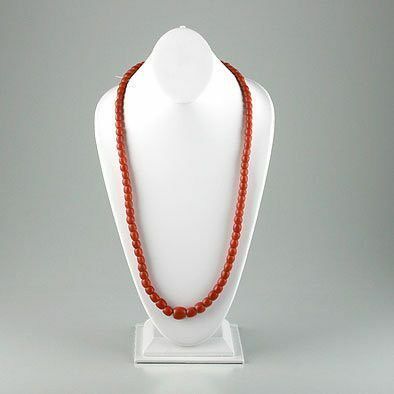 This antique coral beads necklace was hand-made by Russian craftsmen, and is one-of-a-kind. 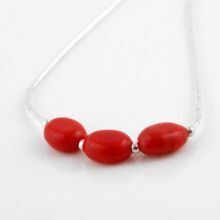 Each red-colored bead is hand-picked and polished to bring out its natural beauty. 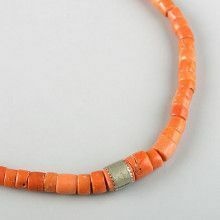 The necklace includes two extra red coral beads that may be used to replace lost beads or to make matching jewelry. There are a total of 91 beads on this 31" long necklace. 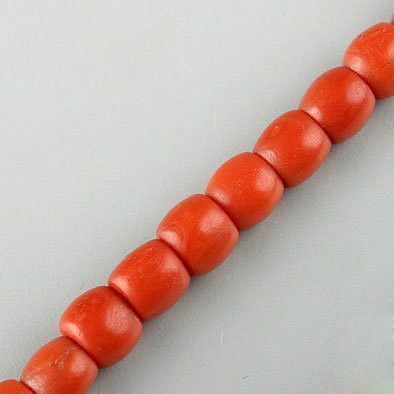 The smallest of these graduating beads is about 1/4" x 1/4" and the largest bead on the necklace is slightly larger than 1/2" x 1/2" in size. 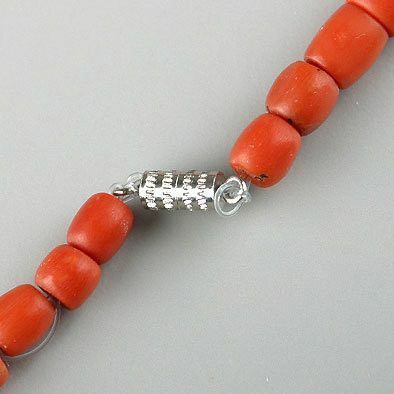 Extra Beads: Extra Beads: Large is Approximately 3/4" x 10/16" and small is Approximately 6/16" x 6/16" in size. Smallest bead is 1/4" x 1/4"